Data shows: The fewer midwives a country has, the more maternal and newborn deaths occur. 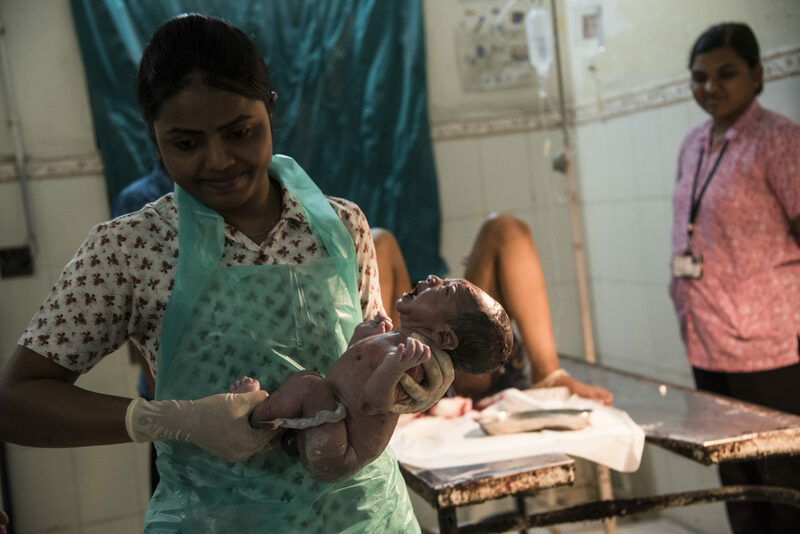 The three reporters will compare the role of midwives in health care and women’s rights in two countries: India, where only a few courses solely focus on midwifery, and Bangladesh, which started to institutionalise the midwifery education eight years ago and where midwives play an important part in places of crisis such as Rohingya refugee camps. Eine Hebamme in Kutupalong – Kanata Akter ist eine der ersten Hebamme im größten Flüchtlingslager der Welt: Kutupalong in Bangladesch. Ihre Tätigkeit ist eine kleine Revolution.